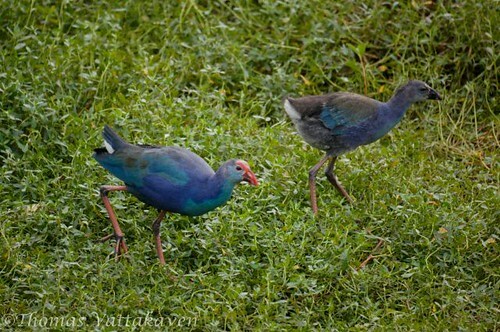 Purple Moorhens (Porphyrio porphyrio) are also called as Purple Waterhens or Swamphens. 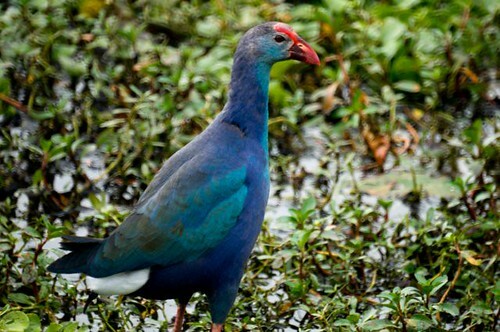 As the name suggests, they are commonly found in swampy areas around freshwater streams and marshes. 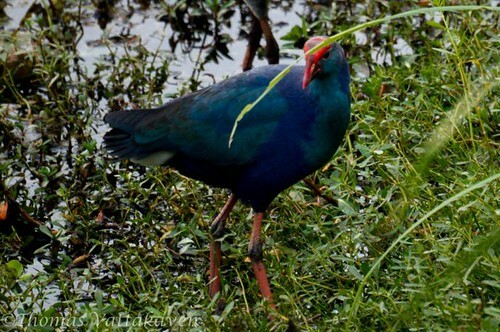 It is a large bird with bright bluish plumage, a red bill and huge orange-red feet. Although they are chiefly seen walking in shallow water, they can swim and are accomplished fliers too. As it walks, it flicks its tail, revealing its white undertail. 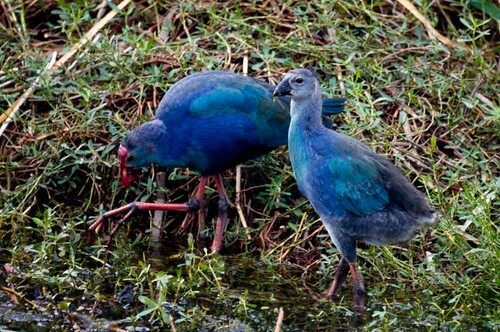 Their diet consists of mainly tender shoots of water plants and small animals such as frogs and snails, however they have a reputation for stealing eggs and ducklings and feeding on them when a opportunity arises. They are also known to use their feet to bring food into their mouth (like a hand) rather than eat it on the ground. 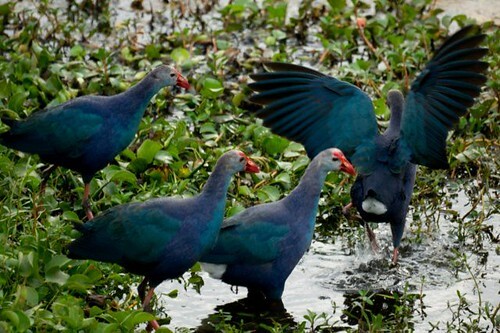 These birds are generally found in groups which consist more of males than females. They may be very noisy, often fighting amongst themselves, duelling in mid air with their feet. 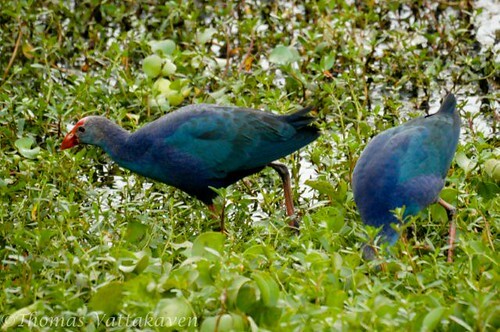 They nest in large pads of interwoven reeds in which more than one female may lay her egg. 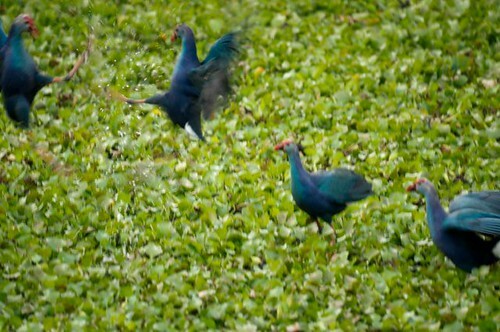 Their courtship consist of elaborate displays. Incubation is done both by the parents and helper birds, as is feeding of the chicks. After 10-14 days the chicks are able to feed themselves. These images were taken in Lalbagh Botanical Gardens, Bangalore, Karnataka.